The change in appearance caused by vitiligo can affect your emotional and psychological well-being. You may experience emotional stress, particularly if vitiligo develops on visible areas of you body, such as your face, hands, arms or feet. You may feel embarrassed, ashamed, depressed or worried about how others will react. Young people, who are often particularly concerned about their appearance, can be devastated by widespread vitiligo. Make a good connection. Find a doctor who's knowledgeable about vitiligo. A dermatologist is a doctor who specializes in the care of skin. Learn all about it. Find out as much as you can about vitiligo and its treatment options so you can participate in making important decisions about your health care. Communicate your feelings. Let your doctor know if you're feeling depressed. He or she can refer you to mental health professionals who specialize in helping people deal with depression. Talk with others. Ask your doctor about support groups in your area for people who have vitiligo. Take your loved ones along with you. Confide in loved ones. Seek understanding and support from your family and friends. Last June I had one of the most humbling experiences of my life. I attended the AVRF Annual Convention in Clearwater, Florida. It was my first time in attendance and an experience I have not forgotten. It is one thing to hear from Stella about the misfortunes and tribulations one suffers from having vitiligo. But it is another thing to witness it and see its’ effects. Overall the weekend was wonderful. 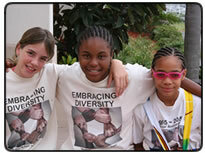 For the adults it provided an opportunity to gather the latest research data on, and treatment options for vitiligo. It also gave them a chance to build supportive relationships, and to offer insights to others about their personal experiences with vitiligo. For the kids, of whom I spent most of the weekend with, it was all about having fun. And this they did. It was great seeing the children being celebrated for just being themselves. They seemed truly excited about being together again and meeting new friends. The weekend provided them with several moments of escape from the prolonged stares, disrespectful comments, and at times down-right rude and insulting demeanors of the uneducated [about vitiligo]. 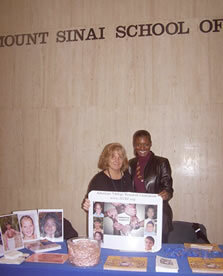 On the other hand it also made for educational opportunities for people with questions about vitiligo. But what a cross to bear, having to explain your humanity to others just to feel accepted! Life for one with vitiligo is hard, especially given the image conscious society we live in. Although there were smiles of joy on the kid’s faces, there was also an underlying sadness evident at times. A sadness that seemed in silence to say “Why me”. What is one to do when he/she has minimal to no control over his/her worse secret being exposed? The daily vulnerability experienced by individuals, especially kids, with vitiligo is unimaginable, and at times seemed overwhelming. It takes a tremendous amount of bravery and strength to face society in such a vulnerable state. By embracing diversity and individuals and a society knowledgeable about vitiligo we can move from discrimination to acceptance-from hate to love. As a member of the medical advisory board I hope to shed light on the emotional and psychological effects of vitiligo, and identify potential individual and family resiliency factors that help to make having vitiligo more manageable.